Most renters dismiss renters insurance because, in their mind, fire and theft are improbable scenarios. Also, some people assume that the costs outweigh the benefits. 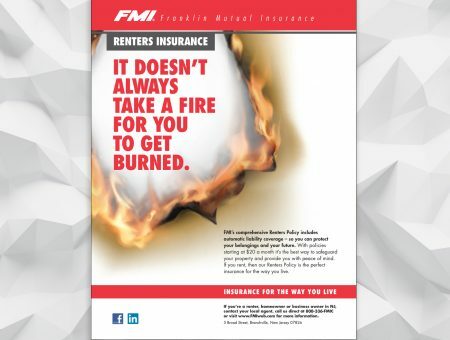 The concept uses FMI’s automatic liability coverage as a compelling argument for a comprehensive renters policy – and explains that their insurance will protect you from more than just fires. These boards were placed in light rail stations and transit hubs in Hudson county. 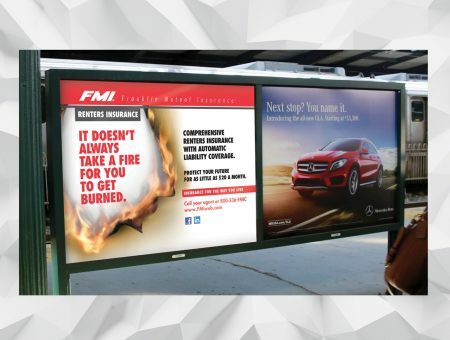 Digital channels included Pandora Radio, Google Adwords, and Sponsored Content. 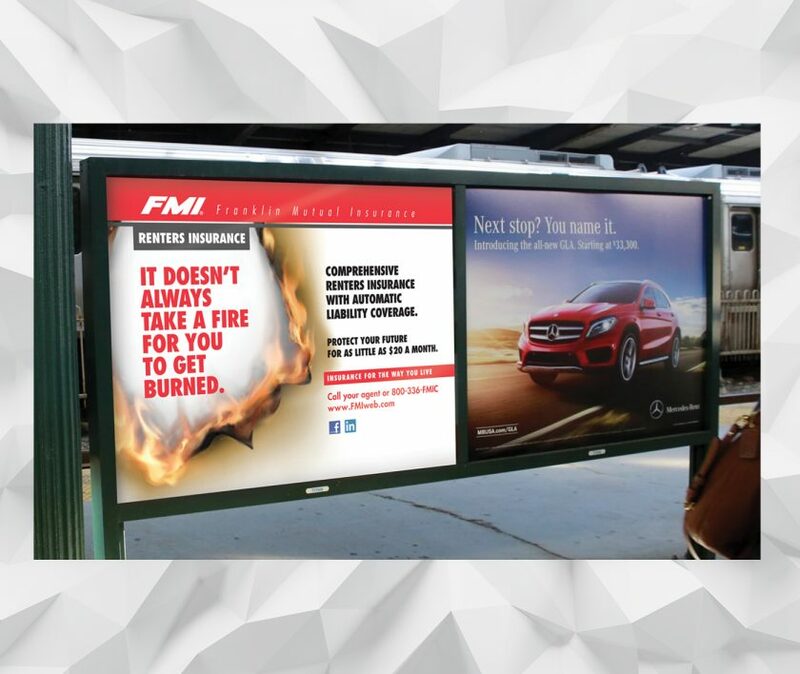 The digital marketing was focused on the same geographic locations as the transit boards.